The Hrosshvalur then. 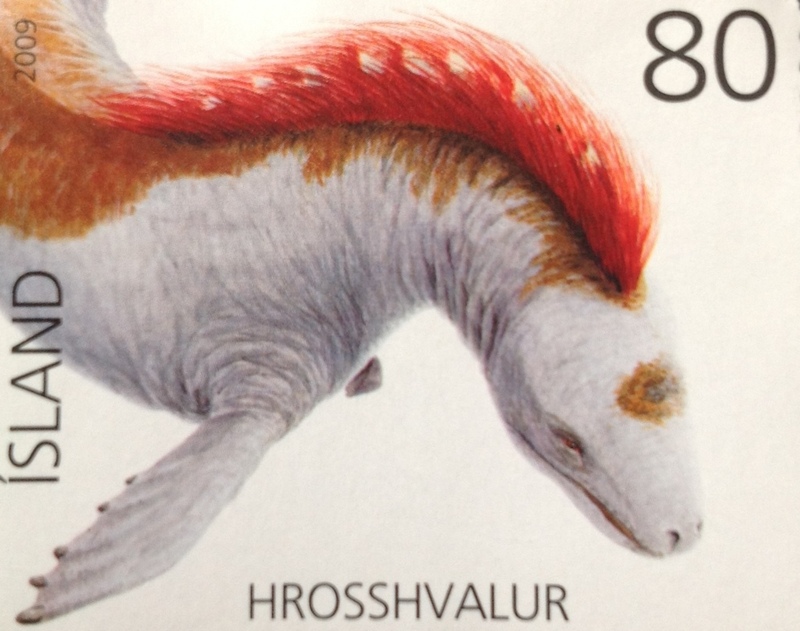 This is a horse/whale combination wreaks havoc in the seas around Iceland. It will strike its horse-like tail on the seas surface, in order to create lethal waves to drown seafarers and overwhelm boats. It has a funky red mane, but it’s not clear why. It’s also known to ‘neigh’ like a horse. Next time you are on a boat near Iceland, and hear a neigh, put on your life jacket. A Hrosshvalur is watching.